As I’m writing this, we’re putting the final touches on our Closed Alpha. We spent a lot longer than we expected but we also got in a ridiculous amount of polish and new content/features into the Closed Alpha. We wanted to make sure the build tested all major systems. This includes progression, combat, core loop, outfit systems, UI, cutscenes etc. Doing this allows us a solid roadmap that could be worked on while iterating on feedback and bugs during Alpha. Our worry was if we put out Alpha too soon we’d be buried under bugs or feedback and not have enough time to work on new features and content. Obviously, some of this work isn’t final and because of that we are requesting Alpha Backers not stream or share what is in the Closed Alpha. We’d like to keep the feedback loop small for now and we worry streaming/recording/sharing the build will make it much harder for us to manage feedback. Being a team of 3 we want to build up some confidence responding and managing feedback and hope everyone can respect that request. Yep, it’s not mandatory. You can play the game straight through, only pick up minimal items and take on the bosses to the best of your ability. 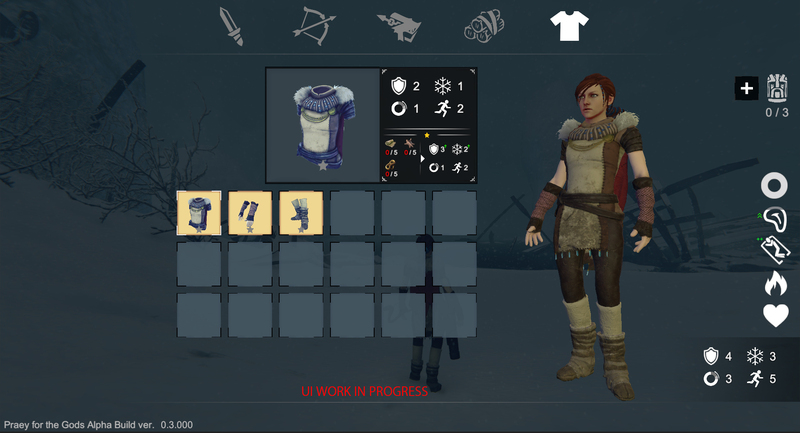 Or you can search for items and outfits that’ll improve your characters stats and abilities. On top of that, you can upgrade the outfits and equipment to better your odds even more. For example, upgrading the sail cloth will allow you better control in storms and time in the air. When is BETA?! WHEN IS RELEASE!? As we’ve mentioned before, we’re not ready to throw out a specific 2018 date for the initial release yet, especially without seeing the feedback from the upcoming Closed Alpha. We’ve received lots of emails and messages from our backers asking us to take our time and not rush PFTG, which we really appreciate. The closed beta and initial PC release will depend on the feedback and additional work done during Closed Alpha. It’s crazy to think of how much work we’ve done since the last Newsletter. 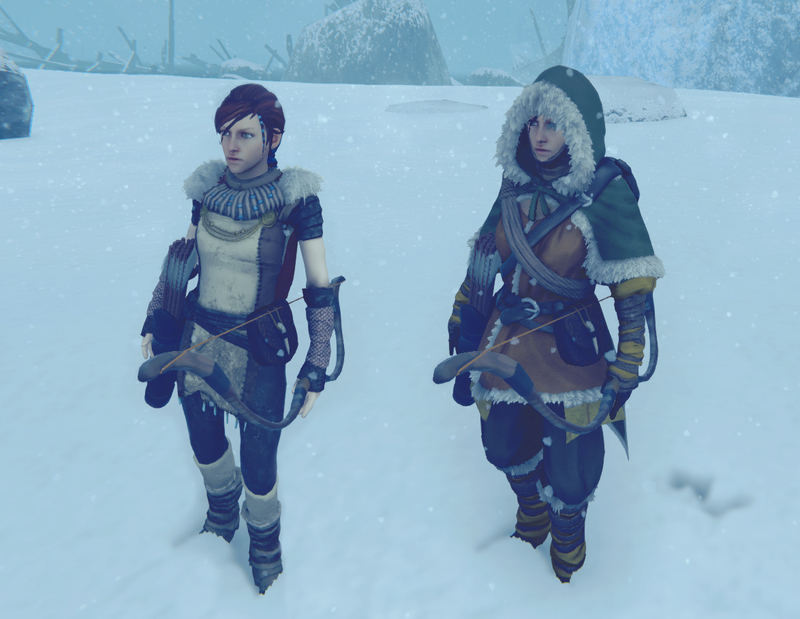 We got the light outfit in game and improved the heavy outfit a bit. We’re still trying these out and so far they are a ton of fun. Get meat and fur from these if you can find them and not scare them off. Currently, they use the same line of sight and will run from you when they see you. You can’t just run onto them, head shots matter too. They’ll leave behind meat and fur that can be used for survival. The meat size is different for boars, deers, rabbits, and crows. This may seem trivial but it’s a big deal for us and how we’ll be able to track feedback and bugs. Prior to this, we were receiving feedback in emails from friends/family and it was a big ask for those people to write up their experience after they played. 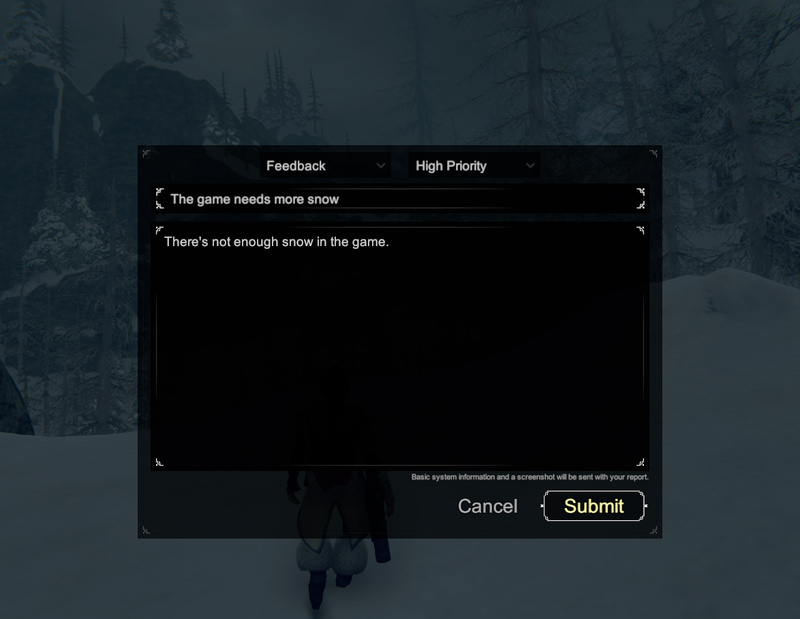 Now if players find something cool, or a bug they can send us feedback right then and there. It’ll send us a screenshot as well as whatever feedback and gamedata/save log to help us solve the problem. Caves have proved to be a ton of fun to both make and play through. No doubt we’re going to be adding as many of these as we can. 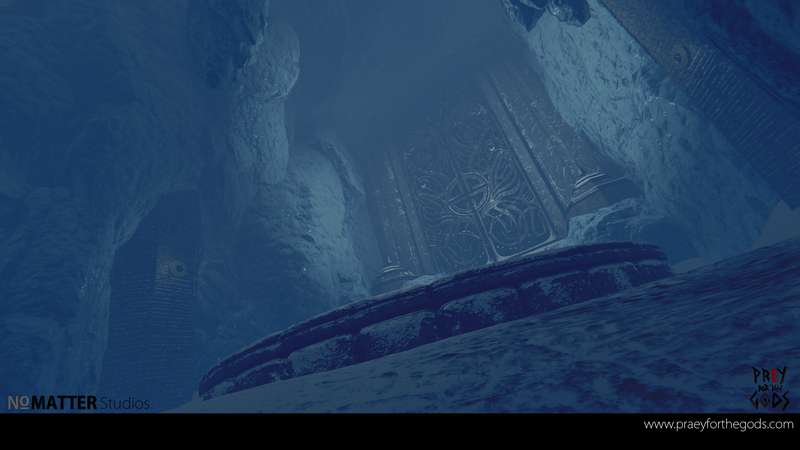 Hiding items and secrets in the caves and making them a bit of a test of skill with the grappling hook & platforming. 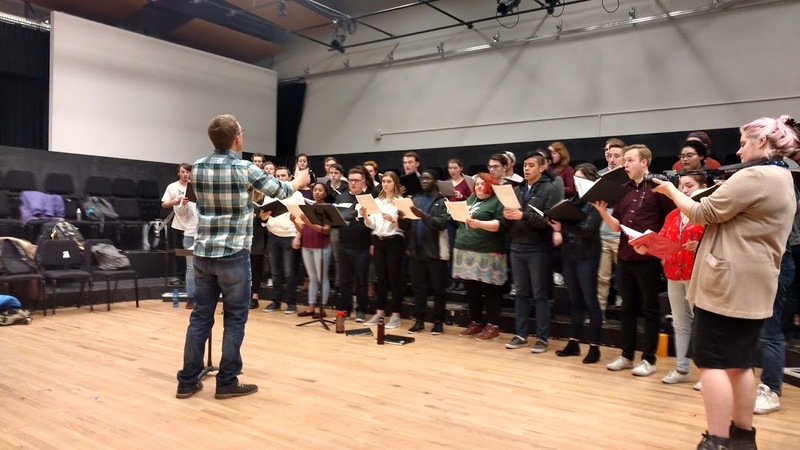 In the month of January, we did our first choir recording at Western Washington University. This was Brian, Ian, and Dan’s Alma Mater and we were able to work with the exceptional concert choir to record some passes on the tracks Awakening and Hymn. We’re still looking to do further live recordings once all the music is completed. We’re finding a nice balance of live instrument mixed with live choir and some samples to give atmosphere and consistency. To give you a preview, we’ve gone ahead and dropped a quick video of Ian working with the choir. We also took up our friends that recorded us during the Kickstarter for some mini-documentary stuff that we’ll share later on. 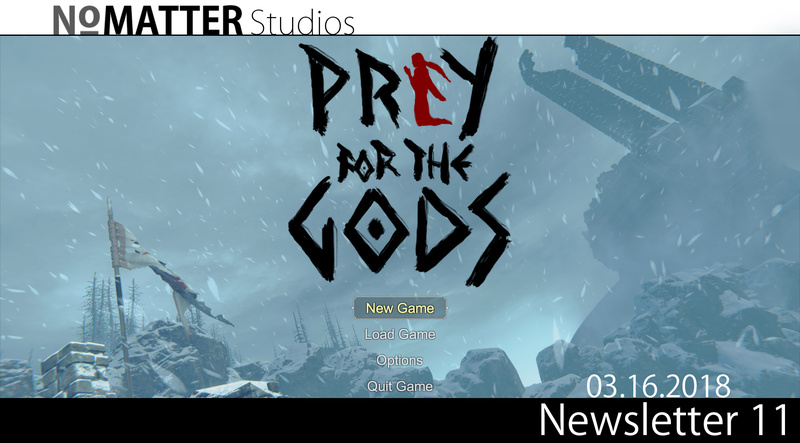 Recently, we’ve been focused on tying up Closed Alpha. Mainly things like additional polish and balance as well as a couple new ways to defeat the bosses were added. We did rework a little of the 4th boss battle. Also, we tried out a couple new ideas for future bosses that are proving to be pretty promising but are still too early to explain in detail other than they are a lot of fun. 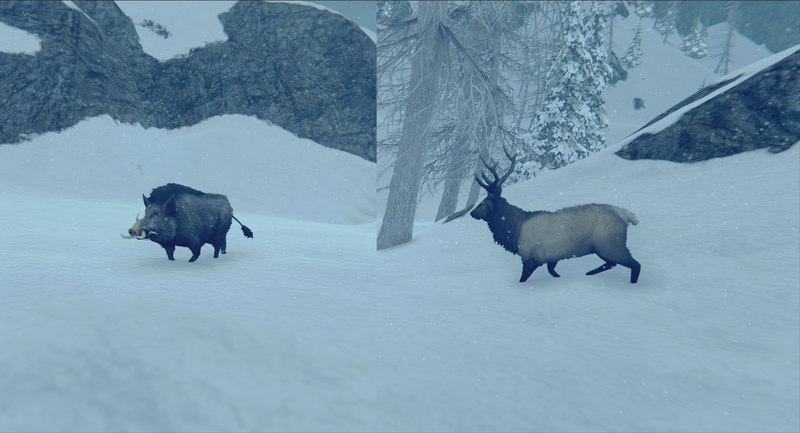 We’re nervous and super excited to see what the backers will think of the Closed Alpha! This may seem trivial but it’s a big deal for us and how we’ll be able to track feedback and bugs. Prior to this, we were receiving feedback in emails from friends/family and it was a big ask for those people to write up their experience after they played. Now if they find something cool, or a bug they can send us feedback right then and there. It’ll send us a screenshot as well as whatever feedback and gamedata/save log to help us solve the problem.